I do some reading and a lot of audio book listening. Over the years I have found favorite authors, ones that are thought provoking and ones that let you just settle in and enjoy. I am always looking for a new author. I recently just found one. Marie Bostwick. Lola works at the library....if I see something interesting I will have her try to get it for me. My recent shopping endeavor to the LQS had me looking at books for sale by the register. A new quest for Lola, find the beginning of the series and start ordering them in. 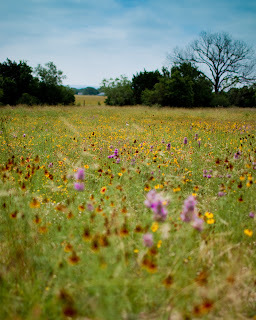 Marie Bostwick's first book "Fields of Gold" is an excellent book. One night the clock was past 1:30am before I forced myself to go to bed. It is time to have Lola looking for some more by Marie. I have since continued the series. 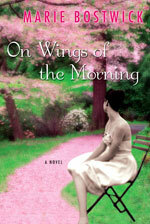 The follow up novel is "On Wings of the Morning". This follows the son born in "Fields of Gold" Some of the time overlaps and it is nice to see the sons reaction to the same events. Marie Bostwick also has a series about a women who divorces, leaves Texas and starts up a quilt shop in a Connecticut. The series again has some time overlaps and shows some of the same events viewed by a different character. These books are "A Single Thread" and "A Thread of Truth", just to name a few. My favorite book to this point is "Fields of Gold". All her books are enjoyable and bring you into the characters lives. Somehow, the "Fields of Gold" does more. Stop by your local library and check one out. Our library will order books in from other local libraries for easy check out and return. 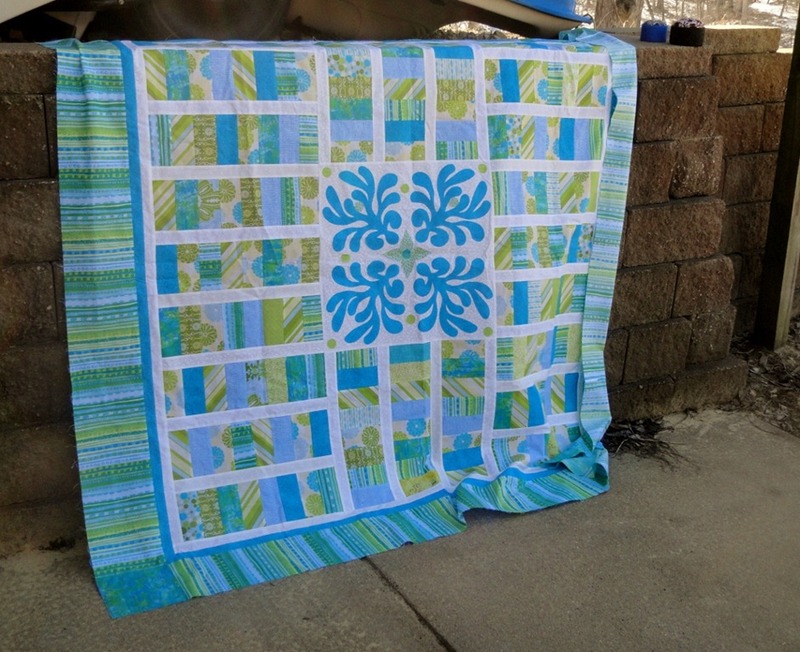 The turquoise & white quilt that still needed some borders, now has some borders. This quilt is based on the Moda Bake Shop Sugar Pop N Change. With the limited amount of fabric remaining, the quilt needed some design changes. The changes look great. Not only did the change let me play with the “Accuquilt Go” that DH picked up for Christmas, it also turned the notch up on the “looks hard but not be hard” that I aspire to achieve. This quilt needs a name. Help! Let’s hear some suggestions! Just a couple other quick projects. Here are the two pincushions sitting back behind the quilt. The top fabrics were purchased from the local junk shop. The containers are a peanut butter jar and a Pringles container. Sand comprises the center with a layer of batting over top. You can see the sun is out today, but the wind is whipping through at almost 30 mph giving a wind chill of –1 this morning. Man, isn't it Spring, yet! 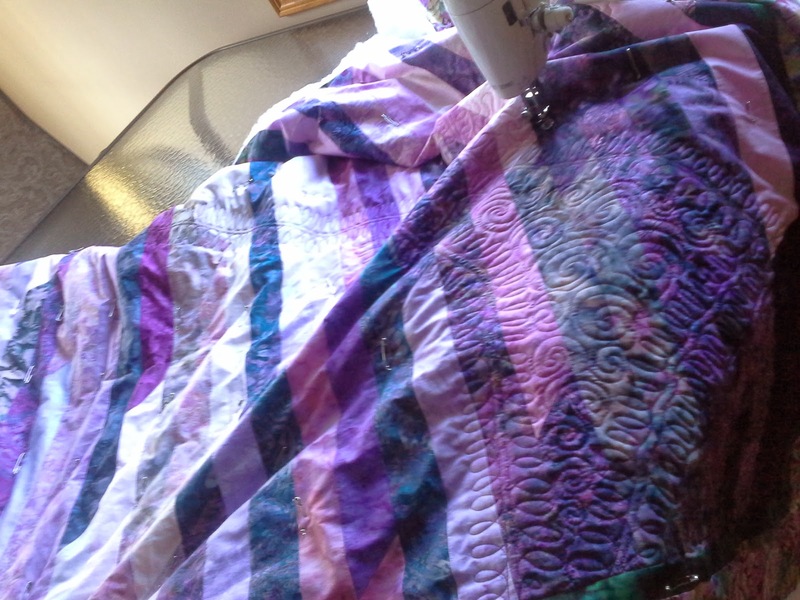 Check out what "Quilting on the River" has going. She is just down river. Our area has a few quilt shops. A few speckled in some of the small towns in the area. When I am in the area, I stop in. On Saturday, MJJR was in a band competition about 30 minutes away. In between competitions, I ran over to their LQS. Lots of vehicles in the parking lot….some were in front of a sign saying…”Please don’t”. I parked and checked out the 8” x 10” sign before I went in. “Please don’t park in front of the dumpster” was pinned to the large sign saying, “Closing the business”. The LQS is in an old church that still has all the old pews. The fabric sits on the pews, the long arm sits up in the altar area. Classes are just to the side where the choir would sit. The owner was approached because of the acoustics of the building. It is going to be turned into a recording studio. The owner always wondered how she would sell the unique building when she was ready to retire. She shot them a price and they accepted. She left on her terms, and will now long arm out of her house. It is sad to see it go. We lost the shop where I took my first lessons over the summer. The shops lease was up and the second grandchild was on the way. She always wanted to retire when the second grandchild came, the announcement came within a week of the lease renewal forms. She also moved the long arm into the home.